The Majik Nothin But Net Shootout is the ultimate addition to your home arcade! 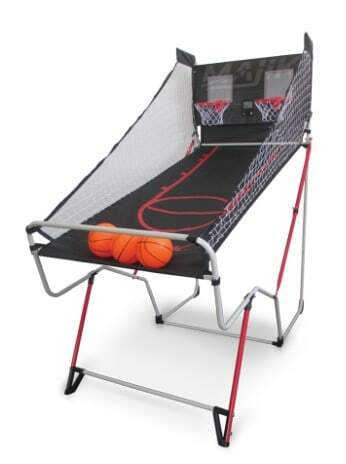 Walmart has Majik Nothin’ But Net Shootout Double Shot Basketball Game for $29.99 (Reg $67). Choose free in-store pick up if available near you; otherwise, score free 2-day shipping on any eligible $35+ order. The heavy duty metal frame, sturdy metal rims, and an ultra-tough nylon ball return are engineered to stand up to intense competition. The quick setup frame design sets up in minutes and folds down for compact storage.